Tulsa just got a little bit better with it’s newest place for fun, Main Event Entertainment. 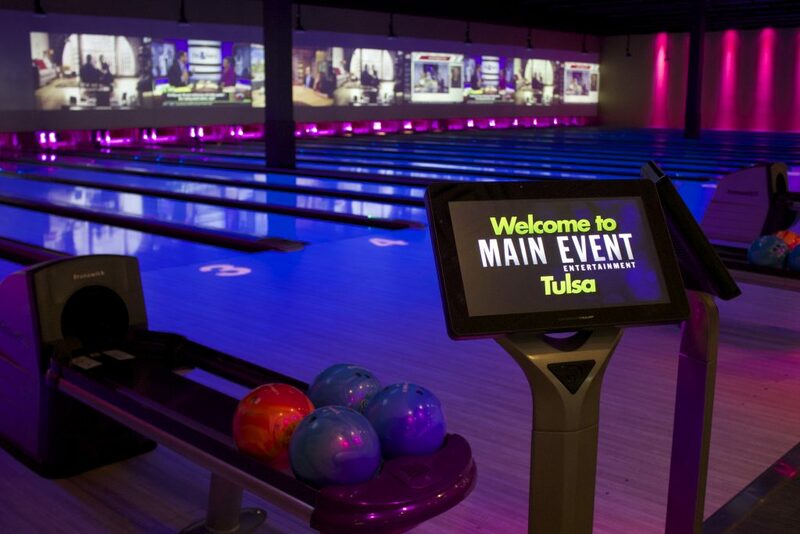 Main Event Tulsa, which opened on April 21st, is the epitome of what entertainment should look like. Housed under one roof, you will find billiards, bowling, food, laser tag, games and much more. I had the chance to visit Main Event Entertainment before it officially opened to the public. Let me tell you that this place has everything. There is really no other place like it in Tulsa. Main Event Tulsa has over 120 different arcade games to choose from. 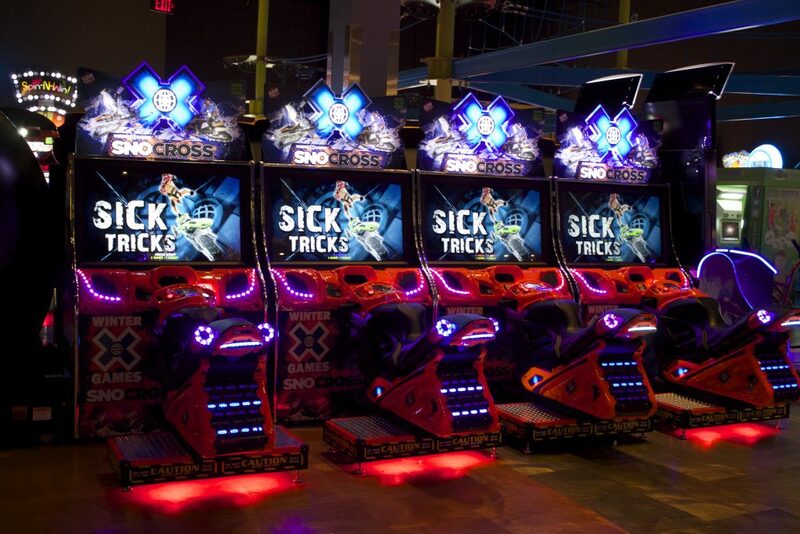 You will find classic games like skee-ball, board games like connect-4, and even interactive games like Jurassic Park. The games are priced at around $1.50 each but Main Event has several options to help save you money like their Eat and Play Free program. 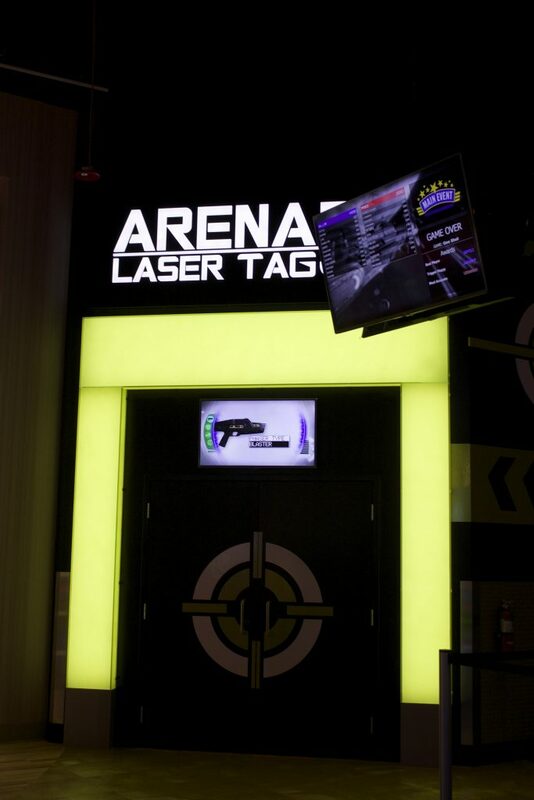 I love Laser Tag and Main Event Entertainment Tulsa has a state of the art facility to help you get your game on. Inside the arena you will compete against other teams through glowing pillars, arches and passageways. I didn’t get a chance to play in the arena this time around, but I will be back soon to try it out. 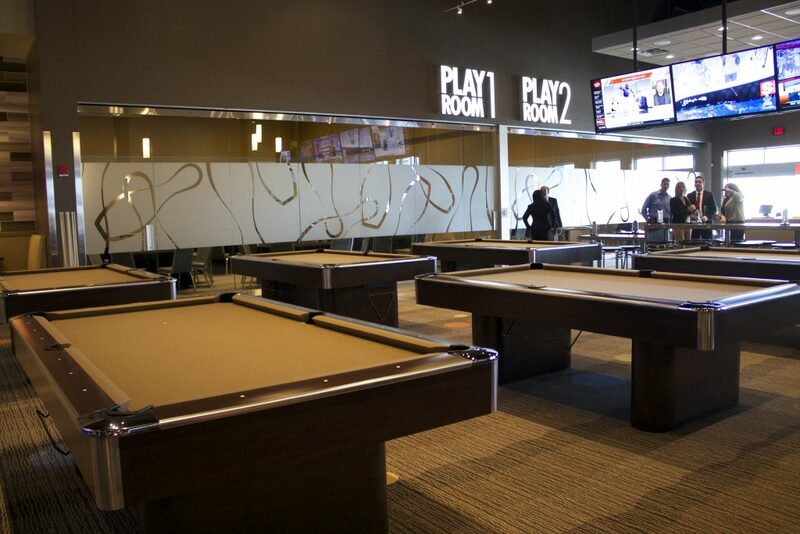 Right when you walk into Main Event Entertainment Tulsa you will see several Billiard tables. These are located right next to the fully stocked bar. You will also find lot’s of big screen TV’s that are broadcasting games. 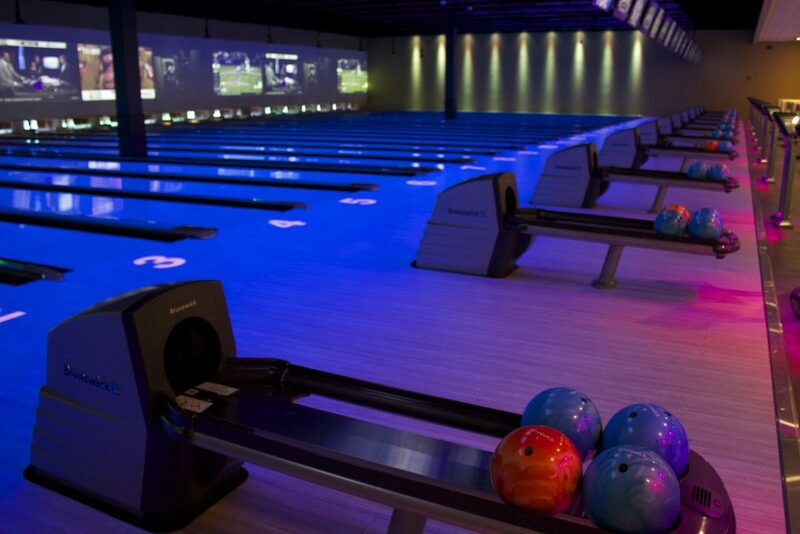 And of course one of the main attractions at Main Event is the Bowling. There are lot’s of lanes to go around. 22 bowling lanes in total. I had a chance to sample some of the food items while at the VIP opening and let me tell you it is GOOD. 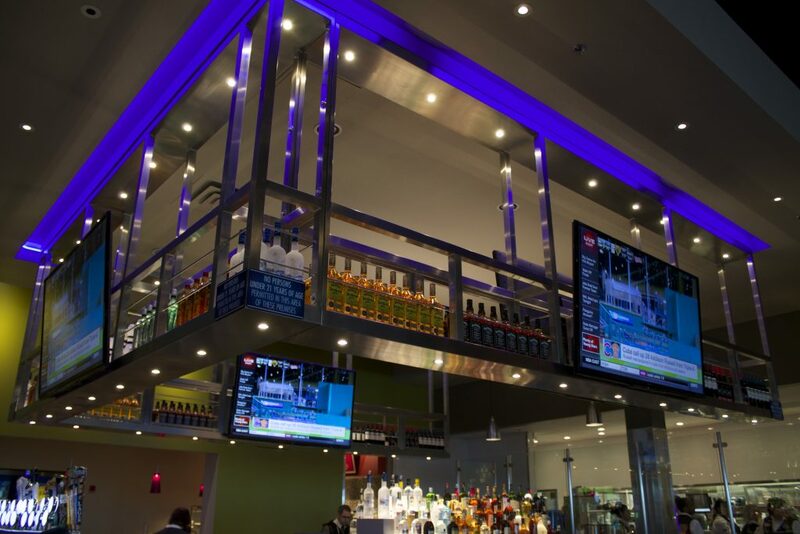 There are a variety of items to choose from at Main Event including Burgers, appetizers, made to order pizzas and you can wash it all down with one of their specialty drinks. 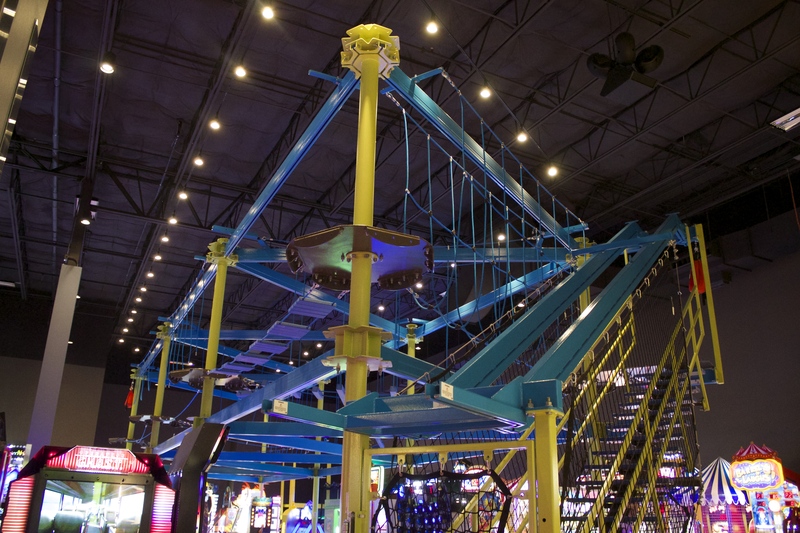 Where else can you find a ropes course suspended above 120 arcade games! At Main Event Entertainment Tulsa. I love the idea of being able to walk your way through a ropes course while being able to see the entertainment complex at a different view. We had an absolute blast at Main Event and I can’t wait to bring my family back with me. This is definitely a place where you can take the family, have date night or even a girls night out. There is lot’s of fun to be had at Main Event Entertainment Tulsa. Main Event Entertainment is located at 7830 South Santa Fe Ave, West. For more information on Main Event Entertainment Tulsa including prices and hours, be sure to visit them online at Main Event.